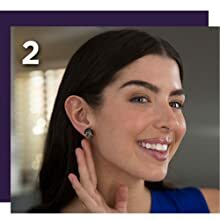 Choose from our selection of Gold, Sterling Silver, and Platinum that best compliment your earrings. 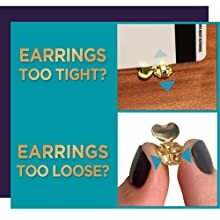 To place, hold from the back tabs and make sure the heart is facing upwards. Slide the post of your earring into the opening on the Magic Bax as you would with any earring back. 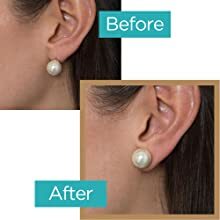 Tighten or loosen as needed to fit your earring. 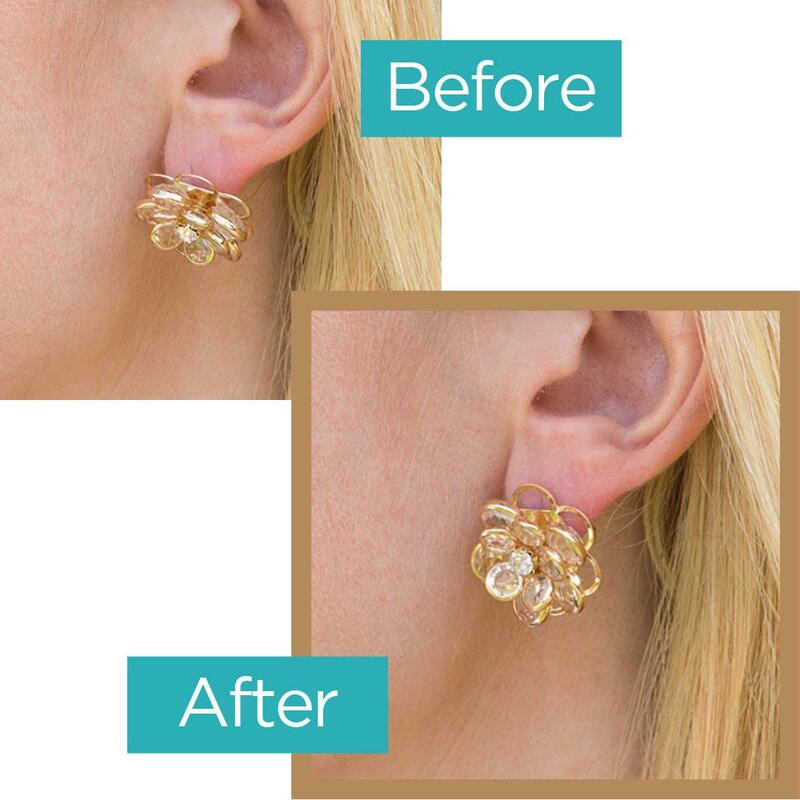 Magic Bax also helps improve the look of stretched lobes by making your earrings sit up right where they should. 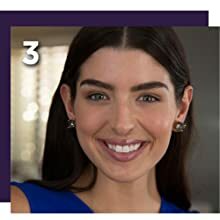 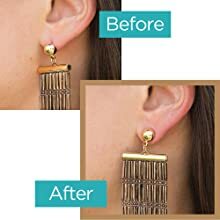 Longer earrings looks great but are sometimes much heavier. 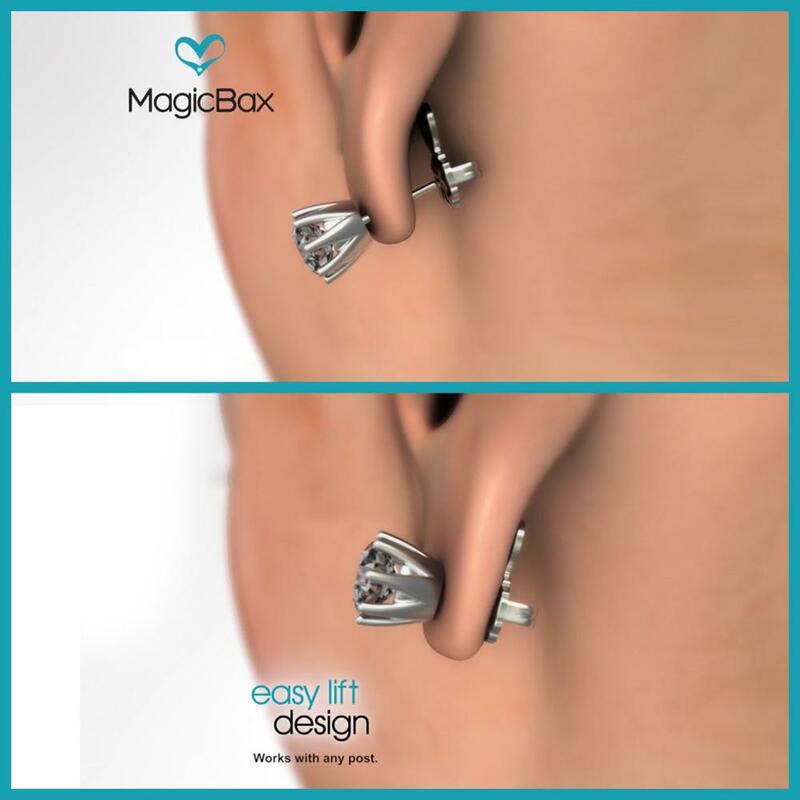 Magic Bax helps your earrings instantly stay more upright and more secure. 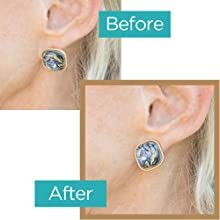 Because Magic Bax fits on any earring post, you can use them on any pair of earrings to position them perfectly in place.